The sun is shining! I feel warmth on my face. Vitamin D! Oh, how I’ve been waiting for the weather to break. Spring is here with all it’s lightness, green, and energy. Spring is nature’s birthing season-the time of creation and development. This is a good time to take a look at your life and make a new plan, especially when it comes to your health. What do you want to clear out within yourself? What do you wish to see happen this year? This can be a new start. Take time to develop a new health or life plan, including your intentions; how you wish to feel, what you dream about, what makes your cells sing? If you had a one-night-stand with your New Year’s Resolutions, it’s all good. Because you now have the energy of spring to spur on movement and get things done. 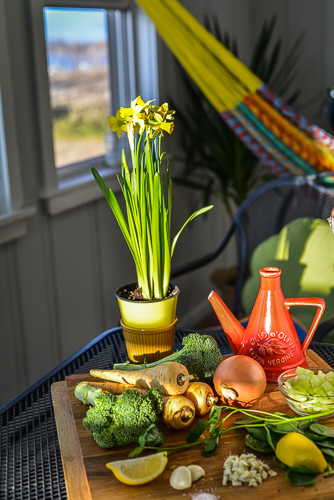 Our liver, the master metabolizer, rules the spring season. The liver is the root of life’s ultimate action. It filters the blood of toxins and breaks them down for elimination and is the seat of metabolism. So it’s the perfect time of year to flush out the toxins and give your sweet liver a break. To kick things off, why not make a meal that supports that liver of yours? 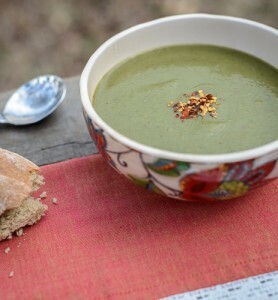 Make this ah-mazing tasting, body cleansing meal to celebrate spring. 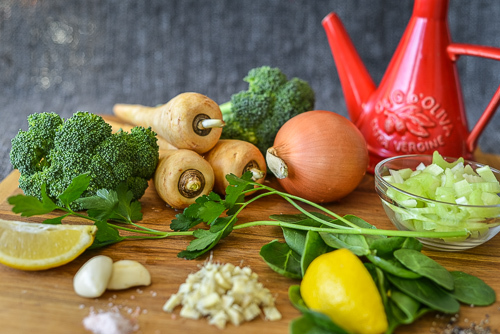 The ingredients in Lean Up Soup keep the body clean and light. There will be nothing here causing congestion and heaviness. Directions: Heat oil over medium heat in large pot. Add garlic, onion, and ginger and cook for 2 minutes. 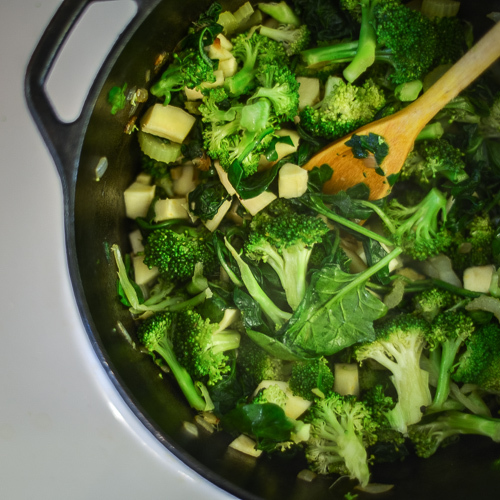 Add the broccoli, spinach, parsnips, celery and parsley and cook for 5-7 minutes. Add vegetable broth and reduce to medium-low heat. Cover the pot and simmer for 10 minutes. Puree the soup with a blender or food processor. Pour soup into two bowls. Season with salt and pepper. 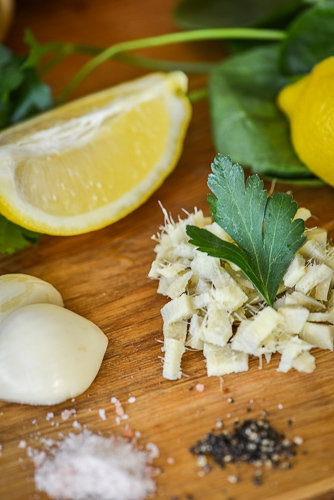 Squeeze lemon over the soup before serving. Serve. Extra oomph: Add 1 cup coconut milk to make it even creamier. 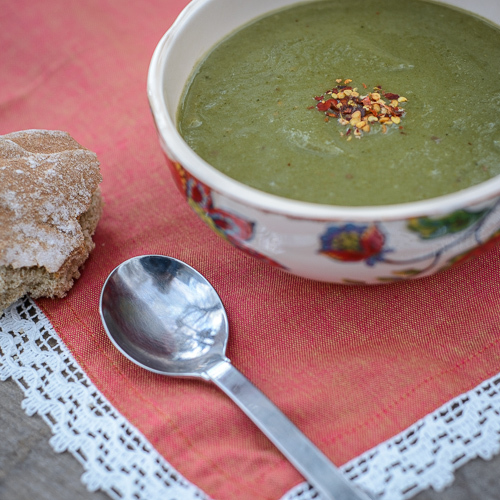 Doesn’t Lean Up Soup look divine? Make it and let me know if you love it as much as I do! 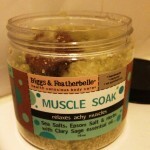 Tell me, how do you reboot your body for spring? Take a walk, get out of the house (wait, that would be me! ), eat something green? Do tell! 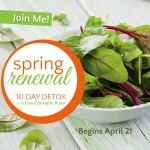 Spring Renewal 10 Day Detox is right around the corner. 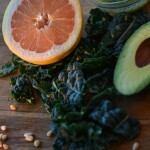 Let’s cleanse the liver and do some big spring cleaning, inside and out! I say Hello from The Netherlands. Nice recipe. Thanks for another yummy recipe and really enjoyed today’s email blast! Looking forward to learning MORE! Lot’s to come dear sweet Robin! AND this soup is VERY yummo! I’m looking to lean up a bit after feeling so full during winter. Enjoy! This soup sounds absolutely delicious, detox or not…but I’ve not had much luck with parsnips in the past. Anything that you would suggest as a substitute? Hi there, Stacey! It IS so goooooood! Don’t let that word “detox” fool you. Try carrots instead of the parsnips. That would work!